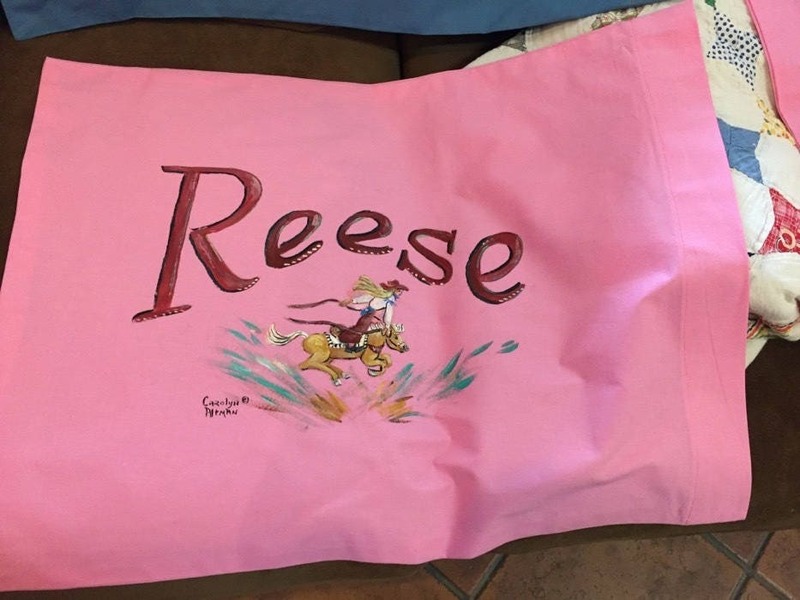 Little Cowgirl riding a Palomino Horse is hand painted on this pretty pink pillowcase. The little cowgirl's name is painted in a deep maroon red. This pink pillowcase is so cute when added to a cowgirl theme for your little girl's room.